Sakura QUICKIE GLUE ROLLER PEN 38480 at Simon Says STAMP! 38480 /0.3 This item is on reserve until If you would like to reserve this item now, you may purchase it now with the rest of your order. We will hold your order now and ship your entire order as soon as this item is back into stock. If you would like your order to ship now, please place this item on a separate order. Success, Sakura QUICKIE GLUE ROLLER PEN 38480 has been shared! Apply glue with the writing ease of a pen for a smooth line without globbing. The ballpoint is .7mm and the glue is odorless. For a permanent bond, use when glue is wet. For a temporary bond, allow the glue to dry until it is invisible. Eliminates shaking and squeezing. Now you can draw anything and dust with glitter powder for spectacular effects! When used with the appropriate films, you can foil stamp your message for a very creative custom look. 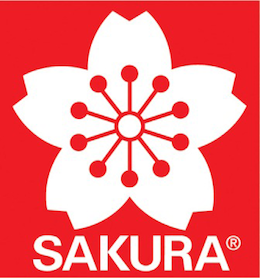 Sakura initially started as a crayon company in 1921. Disappointed that traditional crayon colors did not mix or overlay well, the innovative founders of Sakura began to experiment with different formulations to create an ideal stick drawing material. Over the years, Sakura has brought the world many more breakthrough inventions. Sakura of America is dedicated to the continued development and efficient delivery of technologically superior, innovative and safe products. Our products, promotions, and advertising reflect our support of individual expression and artistic freedom.